Finally, a new blog post! Life has been extra busy (but oh so fun) lately! My sister's been living in San Francisco for the last year and I finally had an opportunity to go visit her with my mama. I wasn't sure what to expect before I came to SF but I absolutely fell in love! It had a really laidback vibe, was easy to explore, and didn't have a "big city" feel. The architecture and landscaping had me stopping in my tracks to snap photos constantly. The beautiful pastel Victorian buildings and colorful florals were breathtaking. My sister took us to all of her favorite neighborhoods, foodie spots, and shops. We walked everywhere and nothing beats a midday Smitten ice cream treat after conquering all those hills. 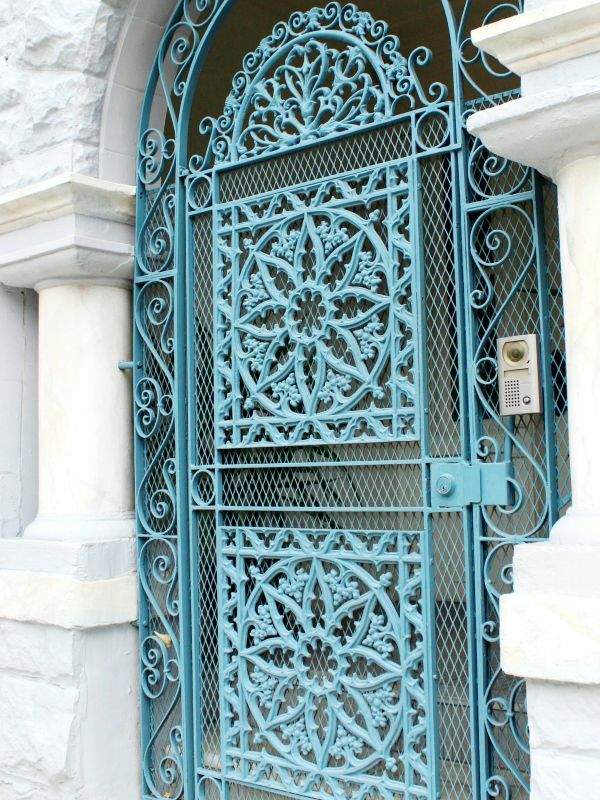 Her neighborhood, Russian Hill, was one of my favorites we visited along with Hayes Valley. 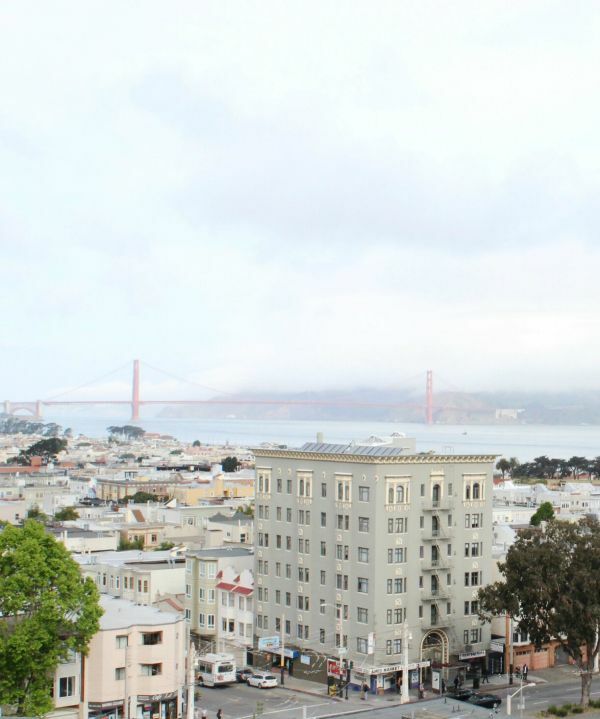 I loved watching the cars wind down Lombard Street and the foggy views of the Golden Gate Bridge. I wanted to share a few of the highlights of our trip (my next post will feature our mini roadtrip to Sonoma). 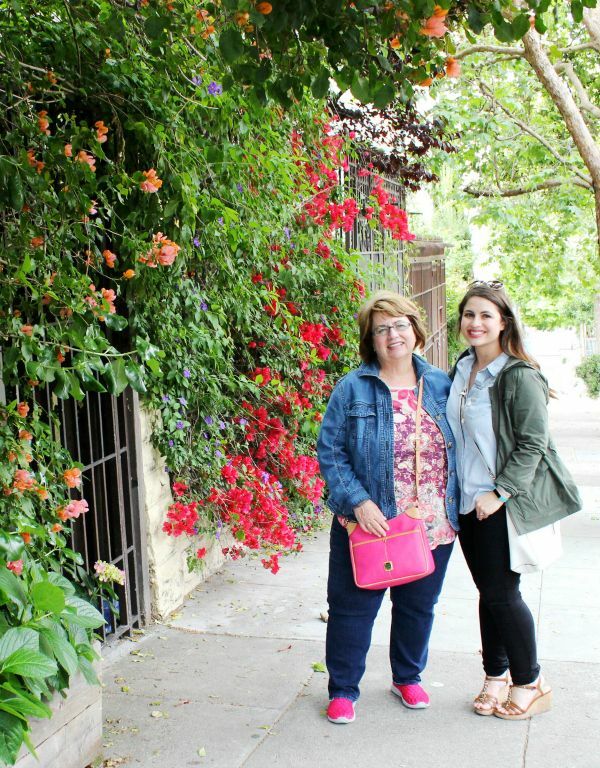 We visited so many amazing spots during our extended weekend in San Fran and they're just too good not to share! My sweet mama & I- such a treat to spend Mother's Day with her! 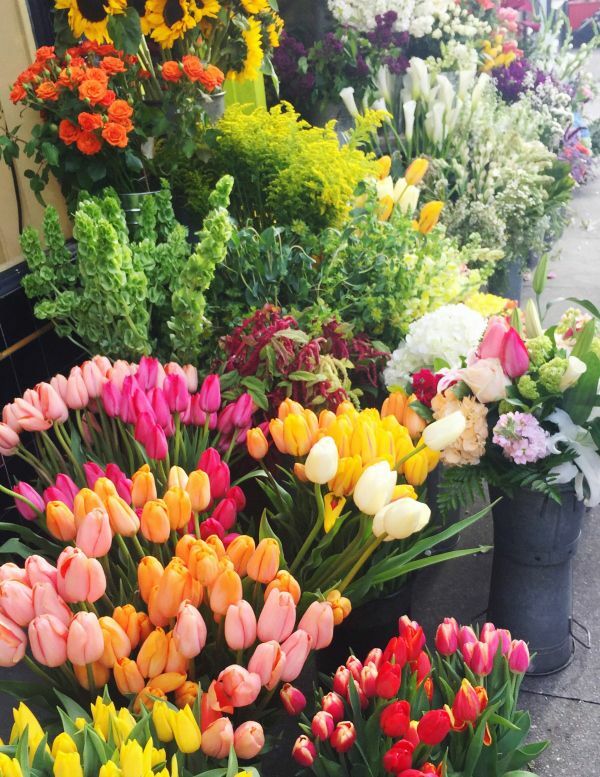 The colorful flower markets on the streets of San Fran. 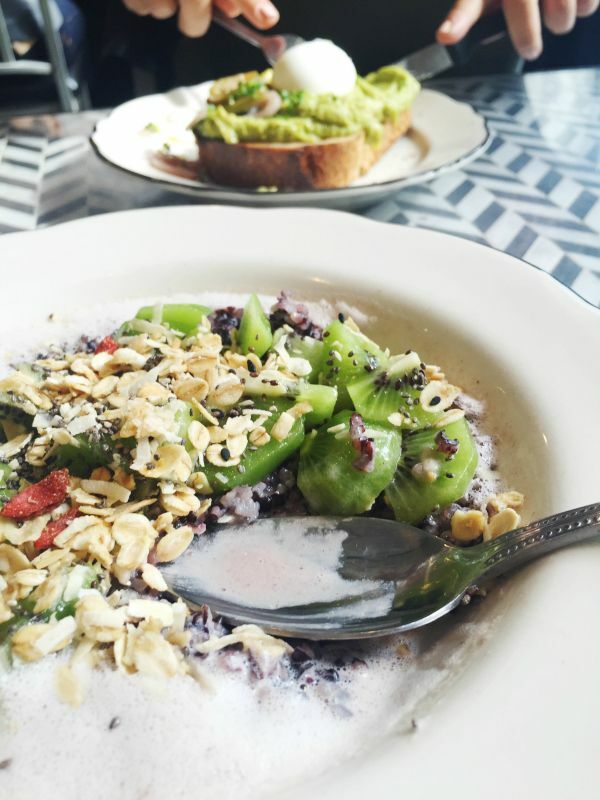 The BEST breakfast at Jane on Larkin-- black jasmine rice porridge. 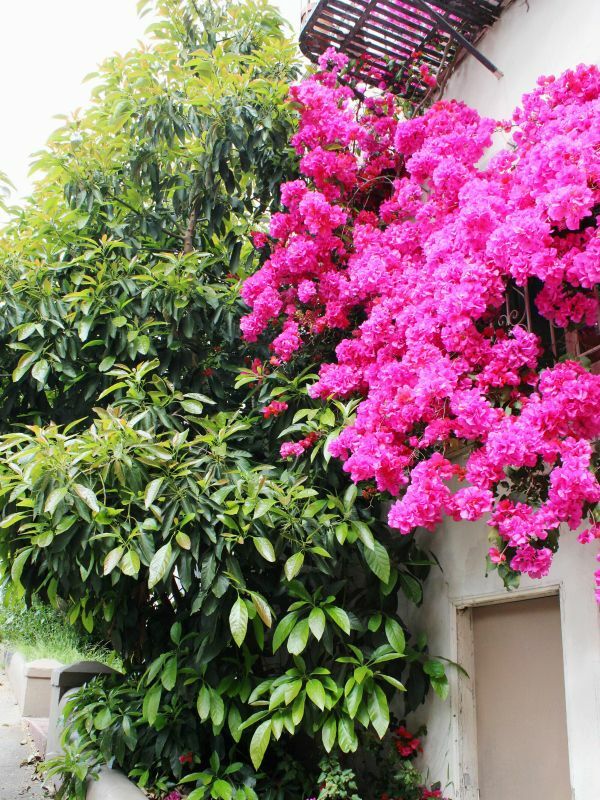 All of the colorful flowers, greenery & succulent plants everywhere made me smile! 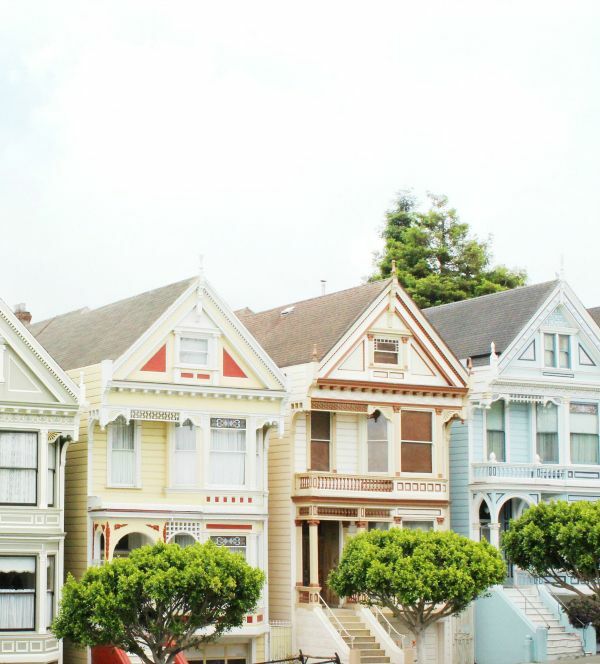 The famous "painted ladies" of San Fran- though they're everywhere in the city! 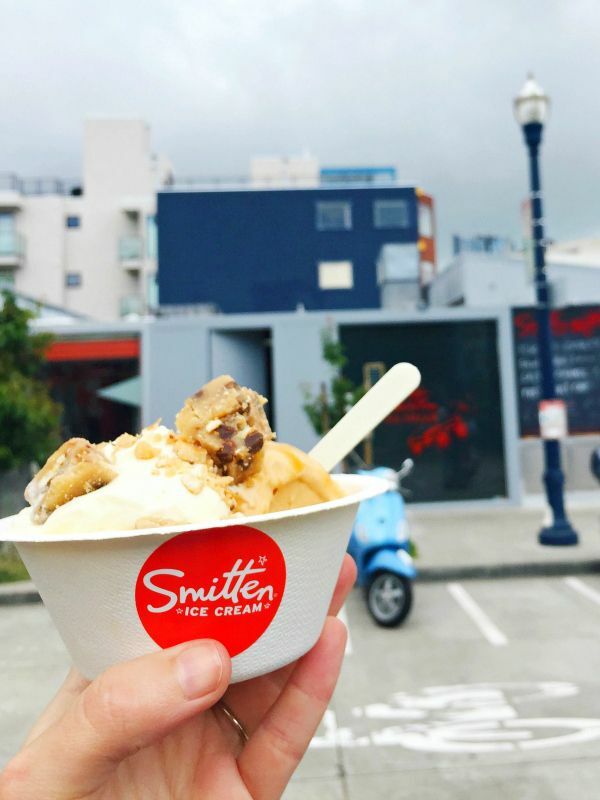 A must try for your visit- Smitten Ice Cream in Hayes Valley. I tried the Salted Caramel Ice Cream with Brown Sugar Caramel & Cookie Dough Bites.. still craving this treat! The view from the twisty, curvy Lombard Street. Gorgeous architecture, everywhere you look! The Marina neighborhood- beautiful views of the Golden Gate Bridge & a Sunday farmer's market for fresh produce & flowers. Smitten Ice Cream- Made to order ice cream, prepared with liquid nitrogen (seriously, the best I've ever had)! Wrecking Ball Coffee- An awesome local roaster, don't miss a #pineappleselfie in front of their famous Rifle Paper wallpaper. Blue Barn- This restaurant has a couple of locations around the city and is a great spot for super huge sandwiches & salads prepared with local ingredients. Saint Frank- A coffee shop with a cool, modern minimalist design. Try the pour-over! Philz Coffee- Don't miss the iced mint mojito coffee- they have several locations around the city! I totally want to recreate it at home. Sugarfina- The famous candy store, Sugarfina, has a brick and mortar presence in San Fran and it's just as colorful and glorious as I'd hoped it would be. The Dorian- This experience feels more like stepping into a cool mansion than a restaurant. Stop by their beautiful gilded bar for a craft cocktail or share tapas style plates. 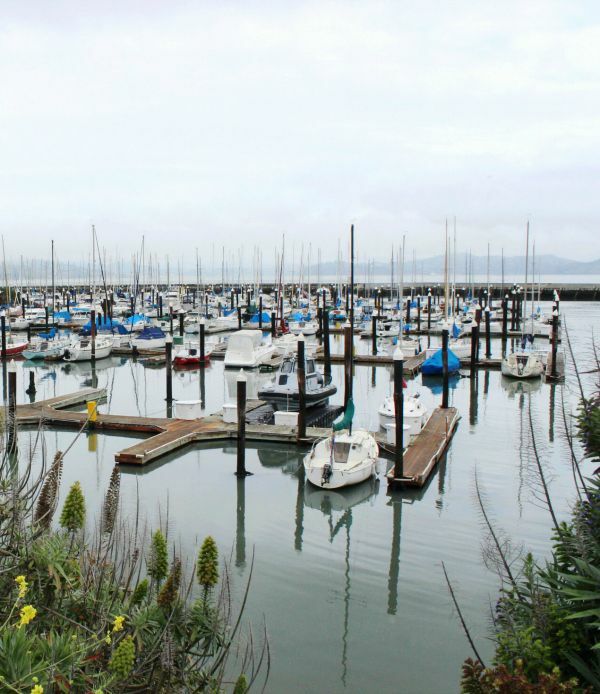 The Marina- Take a walk down for some beautiful views of the Golden Gate Bridge and a stop at the local farmer's market. Ghirardelli Square- Stop by for a free chocolate sample as a reward for the hike up all of those hills. One of my favorite local shops was located here as well- Jackson & Polk. Maker & Moss- I was obsessed with this interior decor shop filled with rustic modern goodies and all the P.F. candles a girl could want. Azil Jewelry- I was super impressed with this tiny storefront's on-trend and affordable selection of handcrafted jewelry. 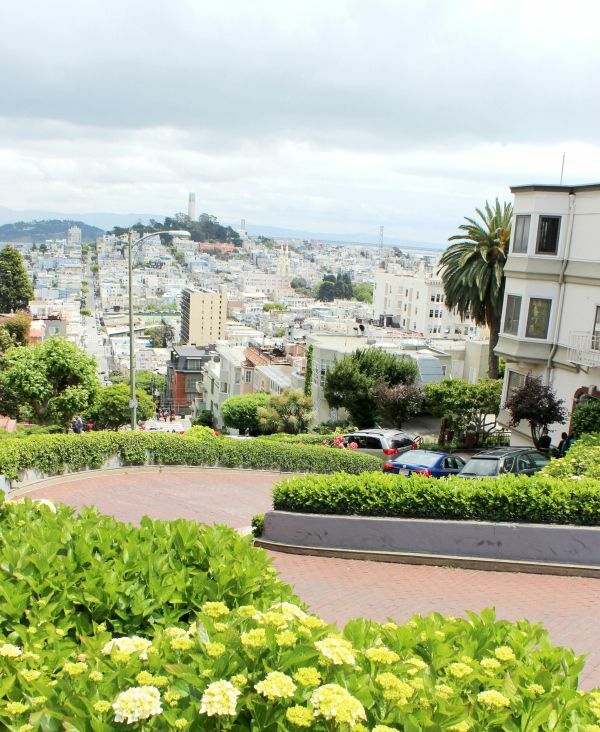 Lombard Street- Drive it if you dare, but better yet, take a hike down its steps and take in sweeping views of the city and the beautifully landscaped road. Ferry Building- If you're a foodie this is a one stop shop to bring back some souvenirs. They have tons of locally sourced food & gifts here- including my favorite, Cowgirl Creamery. We definitely didn't have time to do or see everything I wanted to. I think I'll just have to plan a return trip, fiance in tow. A special thank you to my mom & sis for the wonderful & adventurous weekend together. Allie, you make a wonderful tour guide! Though we live thousands of miles apart I feel so lucky to have the both of them in my life! Looks like such a great trip. San Fran has been on my to-visit list for ages.